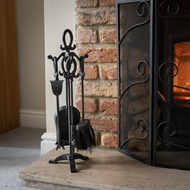 Making the perfect finishing touch to your fireplace, the black brushed steel Tudor loop companion set is both decorative and practical. 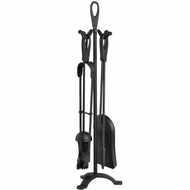 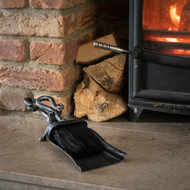 Comprising an ornate stand holding a shovel, brush, tongs and poker, this stunning hearth set will look good in any home. 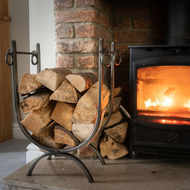 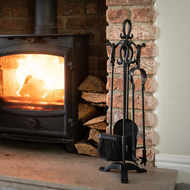 For centuries companion sets have been seen as essential fireplace accessories, so why not continue the tradition with this beautifully crafted item?